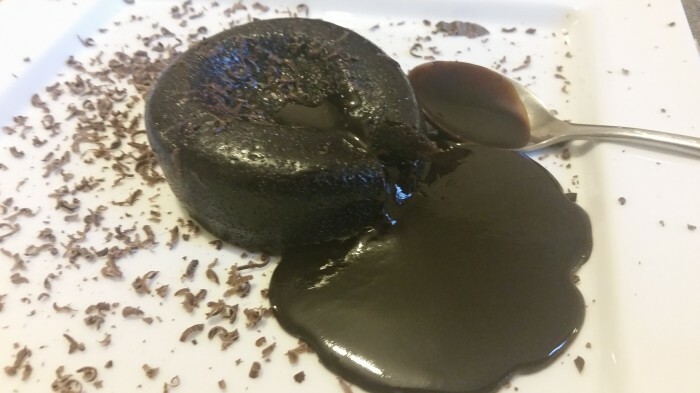 Try this Chocolate fondant cake recipe to wow your guests. We all love chocolate desserts but the ultimate chocolate dessert must be the Fondant. How many Valentine’s Menus end with chocolate fondant. For those who watch Master Chef, the chocolate fondant is a firm favourite that can also have many variations for those looking to be a little more adventurous. Actually chocolate fondants are very easy to make and still add the wow factor to any menu especially when your guest cut into the pud to release that lovely gooey centre. Melted chocolate, castor sugar and butter with the addition of eggs and a little flour and that’s it. Simply line some greased pudding bowls with the mix and chill before baking. Do not overcook the pudding otherwise your pudding will cook inside and you will be left with a chocolate sponge pudding. Ensure your oven is to the required temperature beforehand. Check out a great recipe below.